Art & Environment – this committee consists of those who wish to share their time & talent to make the seasonal changes in the church décor. We need volunteers to offer set-up assistance, maintain live plants, & offer ideas. Cantor, Choir, & Musicians – encourages active participation of the people in sung prayer or through instrumental accompaniment. Choir rehearses Tuesdays at 6:30pm. Children’s Choir for 4:30 Christmas Eve – rehearses Monday afternoons OCT through DEC. Choir consists of children 3-8th grade, parts available for kindergartners thru 2nd grade during the Christmas Gospel (with little rehearsal). Handbell Choir – rehearsals are on Thursday evenings at 7:00, performs at Mass about once a month and for seasonal liturgies. Knowledge of music is helpful, but not required. Ushers – serve at weekend Masses, Holy Days and other special liturgies. 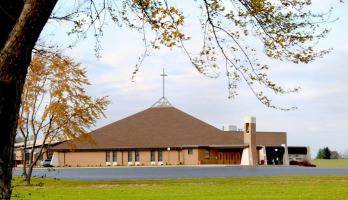 Duties include greeting parishioners as they arrive into Church, seating people, taking care of the collection, manage the flow of traffic, distribute bulletins, and ensure no one has left anything behind after Mass. I am already involved in the following ministries... (see above for my current contact information).